Think that knee length swimsuits are boring? Think again! In the Tornado Rainbow Bright Women’s Kneelength, you will be flying high through the clouds. This fab jade look features a flattering fun colour band down the side along with accent straps in a radiant rainbow of ruby, tangerine, lemon, lime, indigo, and violet. 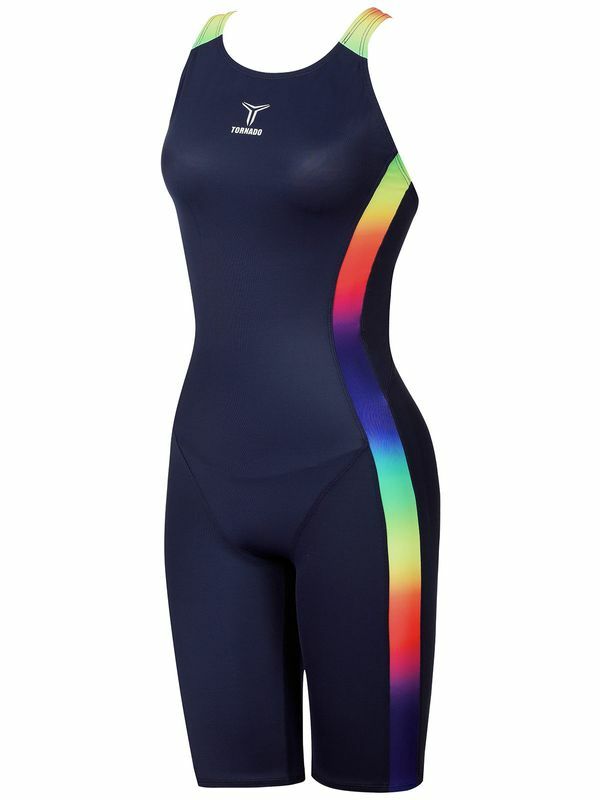 With a modern and fun Tornado logo at the front and centre, this look is a ravishing rainbow! Made by our fave up and coming Korean swimwear company, the Tornado Rainbow Bright Women’s Kneelength has everything that you need to be number one!